Hydrodynamic air bearings have outstanding advantages on high speed and compact systems of turbo-machines. Recently, oil-free turbo-machinery implements gas foil bearing to ensure low friction and high load-capacity and stability. 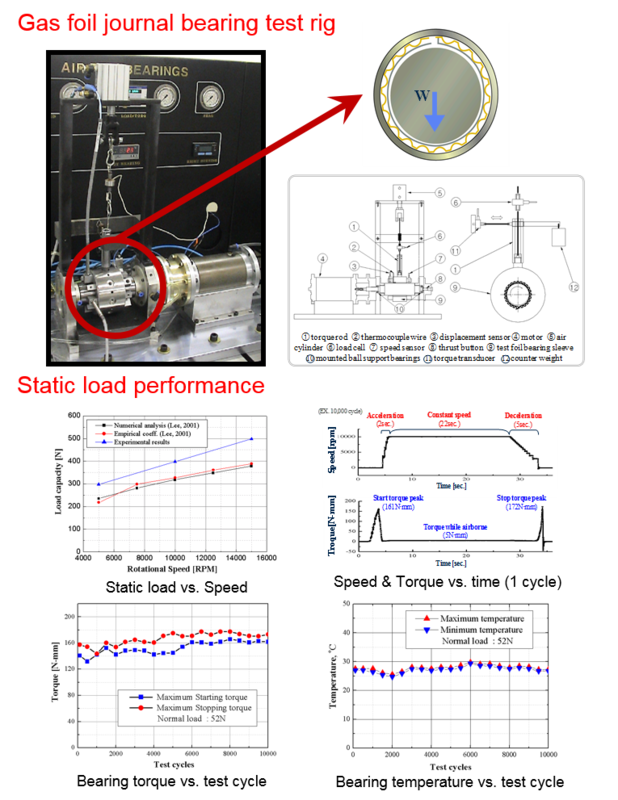 KIST researched static performance such as oil-free gas foil journal bearings(GFJBs). Static performance variable of GFJBs are load capacity, bearing torque and bearing temperature. From this result, we conducted static performance test of GFJBs.